Item: VeriFone - Printer 700 - Dot-Matrix Model: 700P00211900 Comes with: Power supply Condition: New (Old Stock). The'stock' photo shown above may not exactly match the item you receive. We are eager to assist you in making the correct choice. 6345 Carnegie St Mentor, OH 44060 Hours: M-F 8:30am - 6:00pm EST. These charges vary by country and we can not determine what yours will be. We are happy to help where we can, but it is your sole responsibility to resolve all import issues. Keywords: verifone printer 700, veri fone printer 700. 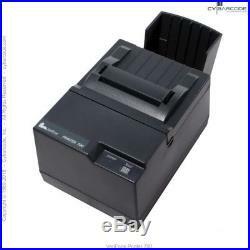 The item "VeriFone Printer 700 Dot-Matrix New (old stock)" is in sale since Thursday, February 8, 2018. This item is in the category "Business & Industrial\Retail & Services\Point of Sale & Money Handling\Other Point of Sale & Money Handling".